ISLAMABAD: The International Labour Organisation (ILO) has asked the Sindh government to strengthen the system of �employment exchanges� in the province so that the system could function more effectively. In order to improve the dissemination of employment information, online job advertisements can be placed by the employment exchanges to improve the accessibility of information, particularly for female job seekers who have lower levels of mobility and networking than their male counterparts, according to ILO report: �Sindh Employment Trends 2013�. Participation rates in the urban sector are surprisingly lower given that Karachi is the economic hub of the country and provides employment opportunities to a large migrant population from other parts of the country, the report says. Another striking feature is the persistently large male-female gender gaps in most of the labour market indicators analysed, pointing to both supply and demand side imbalances in the provincial labour market. In particular, the substantially higher rates of female unemployment indicate labour market segmentation along gender line. 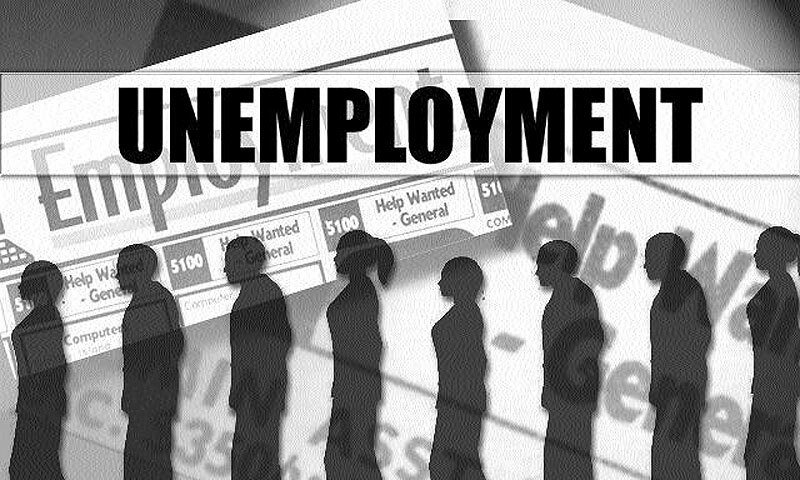 The unemployment rate indicates the proportion of the labour that is out of work; is available for work and is seeking employment opportunities. The report says that unemployment rate increased significantly, in terms of both the population aged 10 and above and 15 years and above, during the period 2007-09 to 2010-11, although the unemployment rates in the province for both categories remained below the national average for Pakistan during both periods. Overall increase in the provincial unemployment rate was driven by the sharp increase in urban unemployment, which more than doubled from 4.5pc in 2007-08 to 9.2pc in 2010-11. On the other hand, the rural unemployment rate actually fell marginally during this period. Female unemployment rates are seen to be higher than male unemployment rates, although the male-female gap reduced during this period. The report called for giving particular attention to the youth segment of the labour force to enable them to acquire gainful employment opportunities. In terms of promoting greater employment generation and improving labour market outcomes in Sindh, it is vital that appropriate policies be designed and implemented for increasing the participation of women in the urban sector, encompassing both demand and supply side interventions. The report estimates that the economically active population or labour force in the province was 14.07 million in 2010-11, up from 12.66 million in 2007-08. The gender break-up shows that only 2.3 million females were in the labour force compared to 11.77 million males in 2010-11. The urban-rural disaggregation shows that 7.99 million (56.8pc) of the labour force was residing in rural areas of Sindh, while 6.08 million (43.2pc) was in the urban areas.